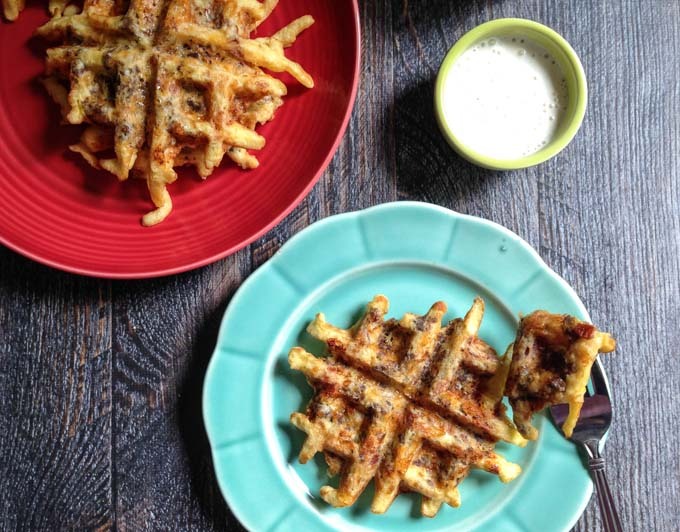 These low carb bacon cheeseburger waffles make for a fun and tasty meal. Dip in aioli, ketchup or whatever you would top your burger. Only 1.1 net carbs per waffle. These waffles came out really tasty and I had hoped that they would look as good as they taste. Sadly that is not the case for this low carb bacon cheeseburger waffle. They are kind of weird looking but hey, they are super easy to make, taste great and only have 1.1 net carbs. You can’t beat that. So what if it’s the ugly sister of waffles, it’s still a worthwhile waffle I assure you. 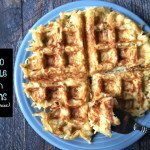 I’ve made many savory waffles in the past ( zucchini, pizza, chicken ham swiss and breakfast waffles) and you would think I would tackle a sweet one for Waffle Week at Sunday Supper, but I didn’t. 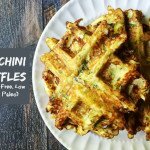 I stuck with what I know… low carb savory waffles. But don’t you worry, my friends have all kinds of waffle recipes for you so check them out at the end of this post. 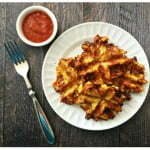 Since this may be my last low carb, savory waffle recipe I will let you in on my secret formula. When you mix eggs, mozzarella and your favorite cheese with any of your favorite toppings, you have a low carb savory waffle. Sometimes I add riced cauliflower for bulk, but for the most part you are waffling (a word?) fried cheese. And yes, no matter what you put into it, it tastes delicious. For this particular recipe I browned some ground beef and added steak seasoning. I think this gives it a real grilled hamburger taste. While I’m doing that, I made some crispy bacon and gathered my cheeses and eggs. Once everything was done, I measured, mixed and place in the waffle maker. We have a great waffle maker by Oster (a DuraCeramic) and we bought it at Target for around $20. Nothing sticks to it. No greasing or anything. We’ve been through a lot of waffle makers and so far this is the best one. Check it out here. 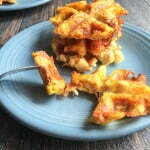 This recipe only makes 4 smaller waffles but they are hearty and filling. Now you may ask, how do you eat them? The first one I tried, I just ate as is. With the second one I tried dipping it into ranch dressing. Lastly I dipped one in ketchup. I was afraid to try ketchup but it was really good! So next time I make these I would add a slice of tomato, lettuce, onion and a bit of mayo or jalapeño aioli and I’m pretty sure it will be awesome. So that’s my low carb bacon cheeseburger waffle for this week’s Sunday Supper theme. Thank you Sue Lau from A Palatable Pastime for hosting and please scroll down and check out my friends awesome waffle recipes. Brown your ground beef in a skillet with the steak seasoning. When finished, let cool and set aside. You will only be using 1/2 cup of the browned meat. In a bowl, add your eggs and beat well. Then fold in your remaining ingredients and browned meat until well combined. Take about 1/4 of the mixture and add to the center of the waffle maker. We don't have to grease ours but if you manufacturer's instructions say to, do so before hand. Should make 4 small waffles. I like to keep them small so there is less chance of sticking. Top with your favorite burger toppings or dip in aioli or ketchup. 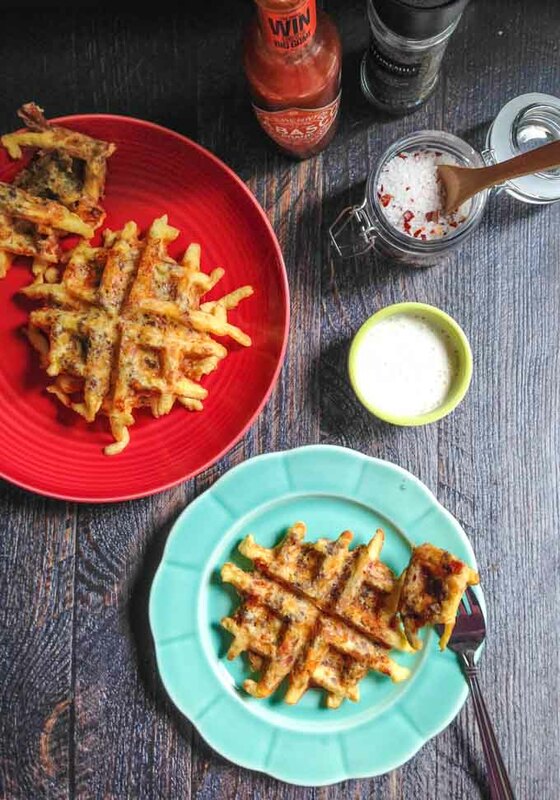 More savory waffles to try! How long should they be cooked in the waffle iron, and at what setting? I don’t see that info in the recipe. TIA! and if I want them to be browner I cook them for a minute it or two more. I want you to know I made these, and they were so yummy! Such a fun way to enjoy the tastes of a cheeseburger! 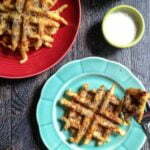 I love the waffle idea, it made them crispy, but soft. So flavorful and satisfying! Such a great idea! I’ll take mine with some yellow mustard, please. I’d love to make these for a brunch! I have been waiting, waiting to see these waffles!! 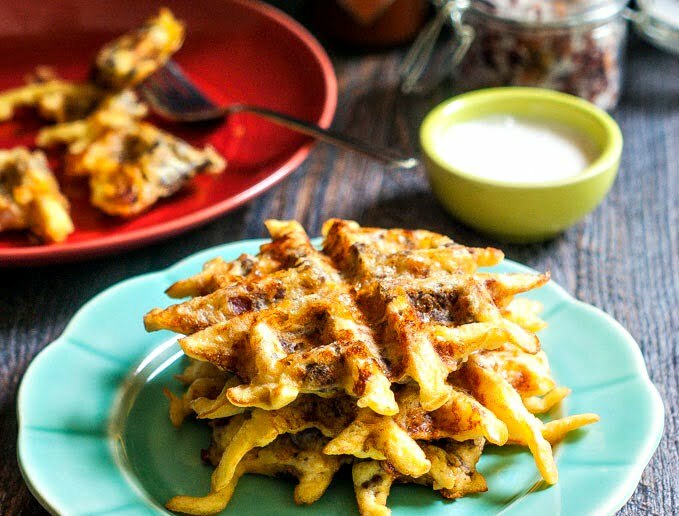 Bacon cheeseburger low carb is usually not something you see together 😉 The waffles look delicious, totally worth the wait, can’t wait to try!! Thanks Meaghan! I didn’t say that they are low fat now. hahaha! They are tasty though. Thanks for stopping by. Denise, this is so creative. I can’t wait to try it out on my kids. They will get a kick out of these. Thanks Kristen! I hope they like them! Um, yum! And I think they look pretty darn good too, ugly stepsister or not!